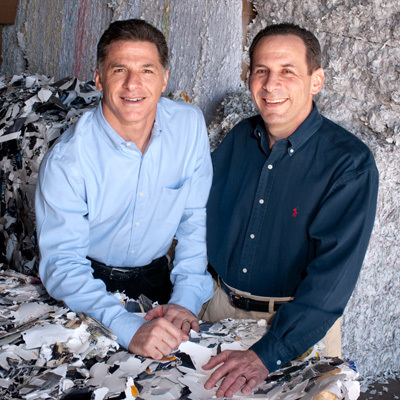 Action Shred is owned by brothers Craig Litman (left) and Joel Litman (right). With the family name attached to the company’s successful operations, the Litmans feel strongly that customer service should be prompt and personal. 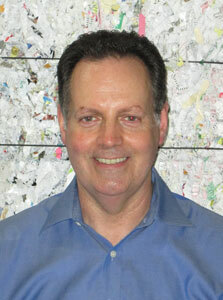 A graduate of the University of Missouri School of Journalism, Joel Litman has been in the recycling industry since 1984. He got his start in the business working with his father at Daltex Waste Material Co.
Joel founded Action Shred with his brother Craig in 2003. Joel and Craig are also the co-owners of Texas Recycling Surplus, Inc.
Joel focuses on his customers’ needs and doesn’t rely on machines, technology or computers to forge relationships. His early work in the public relations and advertising industry taught him the importance of adding a personal approach to business relationships—something he continues to believe in strongly today. A true sportsman at heart, Craig Litman always goes the extra mile to make his customers happy. As co-owner of Action Shred and Texas Recycling Surplus, Inc., Craig puts his strong motivational skills and formal training as a Certified Public Accountant (CPA) to good use. 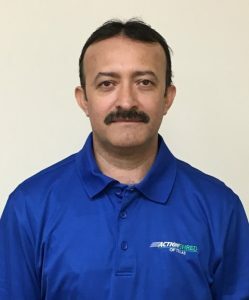 After graduating from UT Austin, for several years Craig had a highly successful career in the accounting and tax field before joining his father and brother Joel at Daltex Waste Material Co. in the late 1980s. 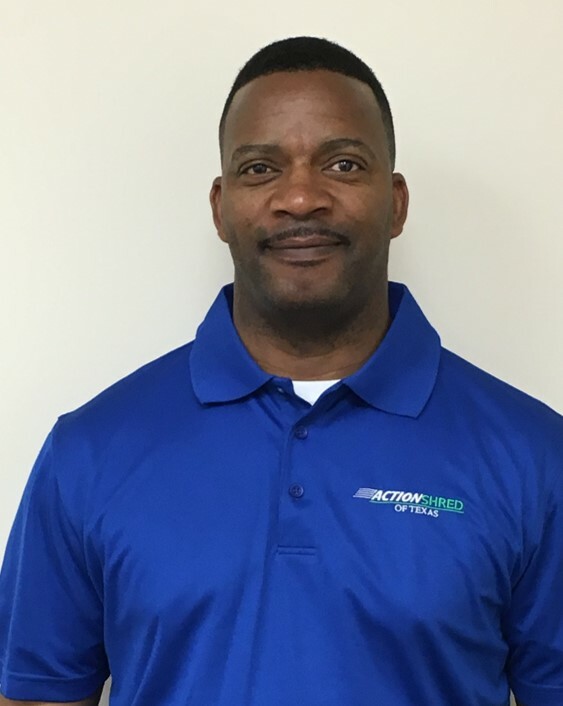 In addition to using his accounting expertise, Craig is involved in overseeing all aspects of the business including sales, safety, marketing, logistics, business strategy and production. With over 20 years of selling experience, Dennis McCaslin brings a blend of skill sets in business development, sales training and account management to the Action Shred team. His background includes positions with global companies in both the document security and cash logistics industries. As Business Development Manager for the company, Dennis is all about happy customers, dedicated employees and creating a brand that is irresistible for potential clients. Top qualities: Attention to detail, authenticity and big-picture thinking. 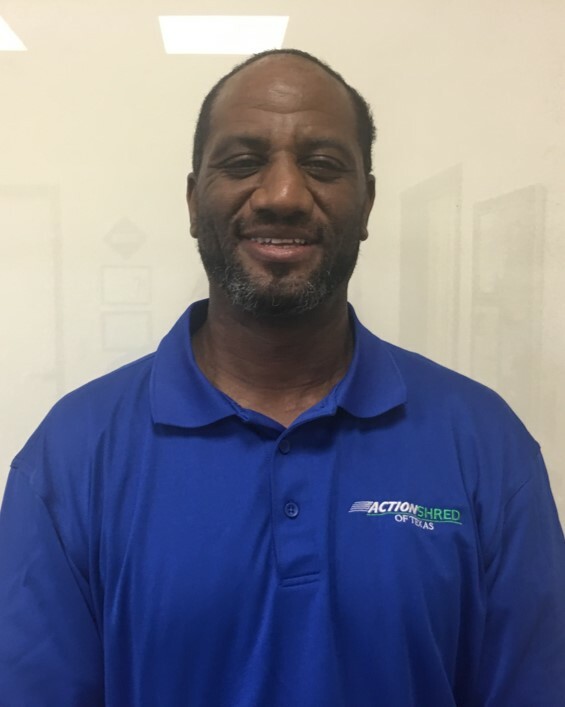 Dennis is always looking for ways to add value to the services offered by Action Shred, whether through programs, people or processes. His commitment to encourage the team to consistently deliver quality, secure services to each customer is the focus of his efforts. With experience in sales and marketing, Monica’s idea of business development is inspired by both numbers and results combined with a skill for turning ideas into achievable realities. For her, social responsibility is a critical component of developing a profitable business model while at the same time building a better society. Her commitment to consistently deliver outstanding service is based on doing what is best for each customer by providing viable and sustainable long term solutions. Top qualities: Results oriented, reliable, positive and proactive. 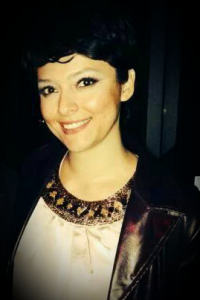 Her ultimate goal is to foster long lasting relationships with her customers that will be mutually beneficial. Hobbies: When not at work, Monica loves spending time with her family and is always looking to meet new people. 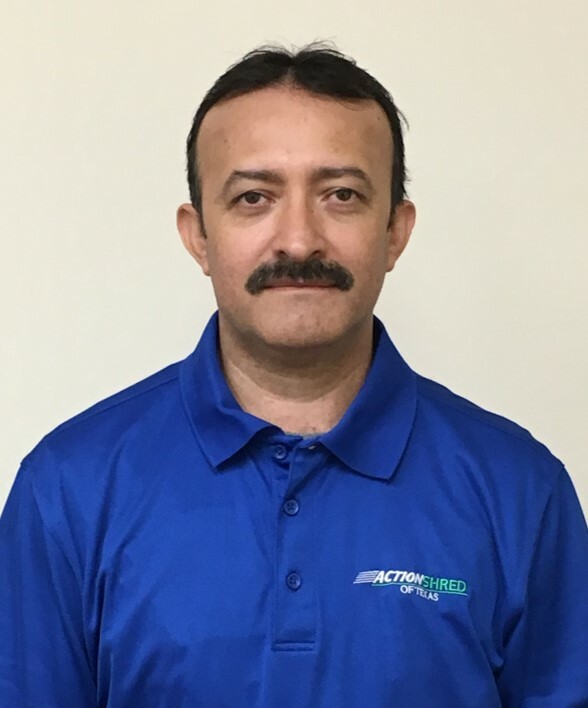 As one of our seasoned shredding techs, Ismael is responsible for making sure all of our customers get their mobile shredding service in a timely, professional manner. He enjoys the comradery with coworkers and making sure each customer is treated with courtesy and respect. His hard work and commitment to our customers is a great example to those who know him. In his free time, Ismael enjoys spending time with his family and getting work done around the house. Kensey comes to us with invaluable industry experience right down to driving the same make of mobile shredding truck as he did with his previous employer. He is calm and collected on his route as well as being one of the nicest guys you will ever meet, which translates well with his customers! Away from work, you’ll find him hanging out with his family and grandkids, enjoying a game of dominoes, watching his favorite sports teams or working in the yard. One of our most conscientious service techs, Mitch loves to build rapport with his customers as he provides a high level of service to their business. He notices the little things to insure the customer experience is positive and the job is done right. Always willing to help a coworker or customer, he embraces the concept of “team”. Away from work, you’ll find Mitch exercising, reading, watching sports or hanging out with his family and friends at home or church. 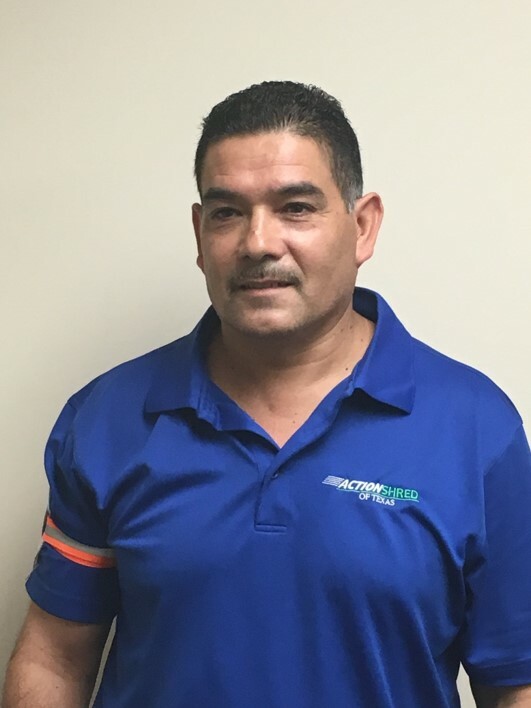 Mariano brings the same reliability and dedication to our service team as he did as a longstanding employee in another industry. His eagerness to learn and willingness to do whatever it takes to get the job done make him a key member of our group. He loves to spend time with his family, enjoys the outdoors and watching his favorite national soccer team Mexico.